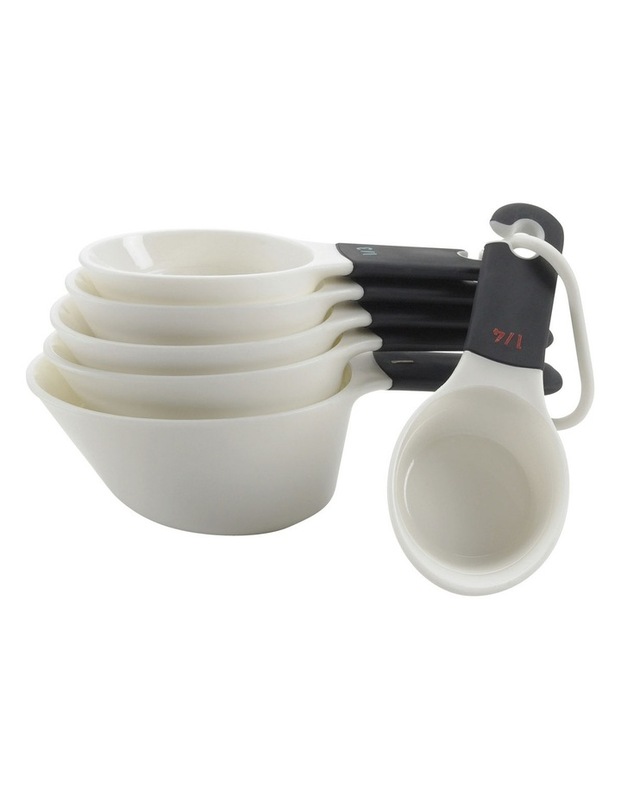 For precise measuring, this 6-piece Measuring Cup Set from Oxo is perfect. The cups feature permanent, bright, colour-coded numbers so that measurement markings are easily recognisable. Each cup snaps onto the ring separately, making it simple to remove them one at a time. The set includes convenient 2/3 and 3/4 cup measurements, which are ideal when doubling a recipe or cutting it in half. The cups have a scooped shape for dipping into flour and sugar, and are able to rest flat on the counter for easy filling. The handles also have soft grips for added comfort. For stress-free cleaning these cups are dishwasher safe.